It’s interesting how siblings who grow up in the same household can come to like and dislike completely different things. There are obviously similarities but the reason for the differences baffles me sometimes. Tomatoes are my favourite food, I eat them raw, I eat them on toast, I eat them in salads, I eat them in just about anything and everything. My brother has hated tomatoes ever since he was little and has only just started to get used to them a little. He absolutely loves carrots but I’ve hated them since I was little and have just come to learn to like them recently. We do however, both hate capsicums. I’m sure there’s many research articles out there about occurrences like this but I’m not sure if there has been any conclusions. Since I love tomatoes so much, I always try to keep some fresh tomatoes on hand. It’s now well and truly into winter. The coldness means tomatoes are no longer a fruit of the season and prices in local markets have increased two fold or more and sometimes don’t even look very appetising. I did however, find a batch of fantastic cherry tomatoes at Costco recently. For $9.99 a kilo, it’s quite cheap for tomatoes of that quality. So no surprise, I’m been cooking up a storm with these juicy, sweet gems in the kitchen. One of my favourite ways to eat them is to bake them in the oven with some salt and olive oil. When you pop them in your mouth and take a bite, the warm, sweet juices just fills your whole mouth with happiness. I also love putting tomatoes in guacamole. WIth a touch of cumin and smoked paprika, the flavours of the tomatoes are further enhanced, avocados are also one of my favourite goods. One morning, I thought to myself, since I love to eat tomatoes in these ways so much, why not put them together? And so I made guacamole bruschetta topped with baked cherry tomatoes. It was truly a wholesome and flavourful combination of ingredients that I could just keep eating and eating. 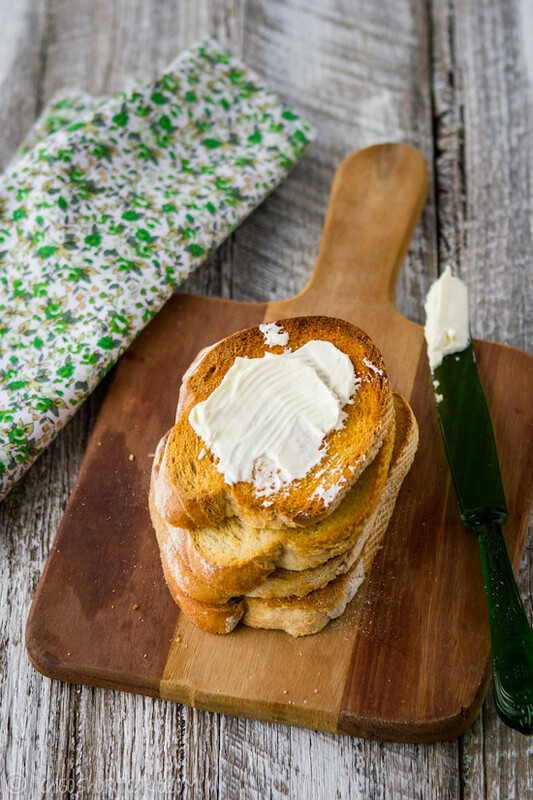 I hope you enjoy the recipe as much I did! Note: I didn’t have coriander or red onion on hand at the time but this would be a fantastic and authentic addition to the recipe to include roughly quarter or half a bunch of chopped coriander and 1 red onion. 2. 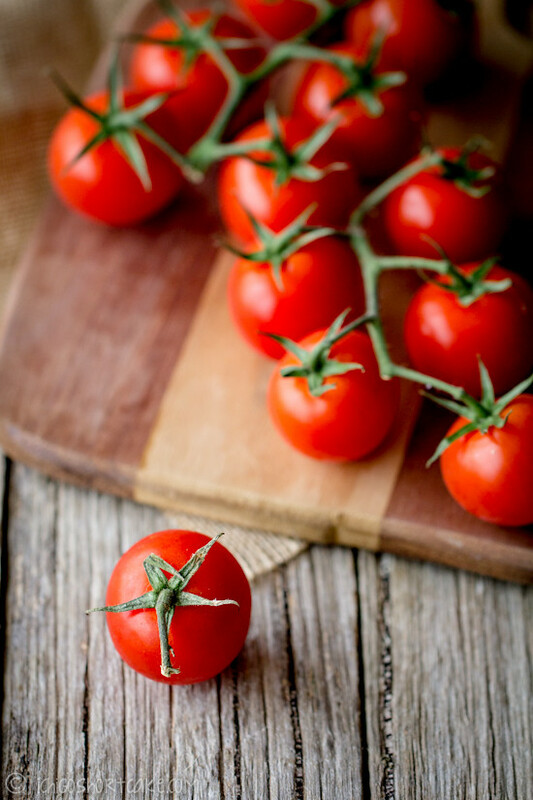 Place cherry tomatoes on a baking tray and drizzle with olive oil and salt and pepper. Place in the oven for roughly 10 minutes or until the skin on the tomatoes are starting to break. 6. Chop coriander into roughly 3mm sizes and dig out the avocado flesh from the skin. 7. Put coriander, chopped tomatoes and avocado into a large bowl then add chopped garlic (or garlic powder), chilli powder, smoked paprika, lime juice, cumin and salt and pepper to taste. Drizzle with olive oil then mix together, careful not to bruise the avocado too much (my avocados were very ripe and slightly brown and mushy so it didn’t turn out as well as I wanted). 8. 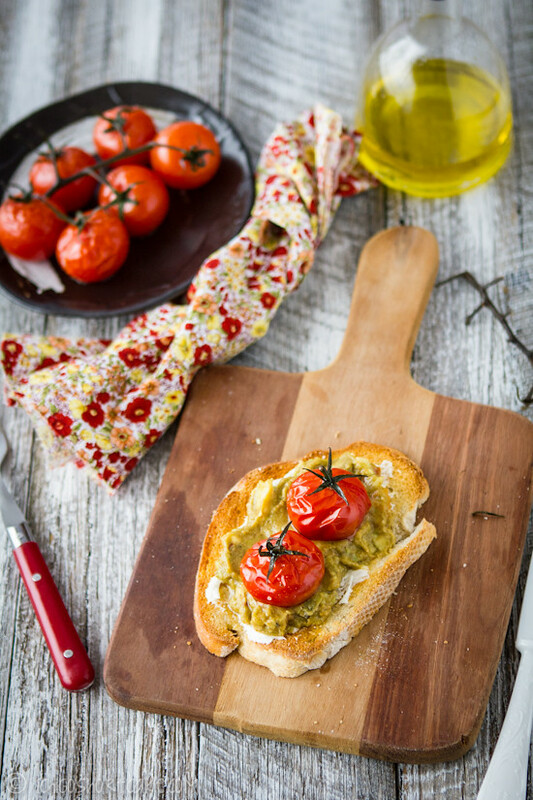 Spread bread slices with cream cheese, top with guacamole and serve with baked tomatoes. If you feel that there are too much tomatoes for you in this recipe, you can make the guacamole without the tomatoes, although you will have to adjust the seasoning as well. Question time: What’s your favourite food/ingredient and what do you hate? Do you also have a sibling who like or dislike the foods like you? Looks delicious and I love the colorful matching napkin! This looks delicious and your pictures are amazing. Would love for you to share your photos with us at foodepix.com. wow! that sure looks good.. i love the way you captured the tomatoes. awesome meal. Yeah it’s not just in terms of food, my brother and I are very similar on a lot of levels but VERY different on others. So strange! these sound delicious, absolutely delicious – i love it! 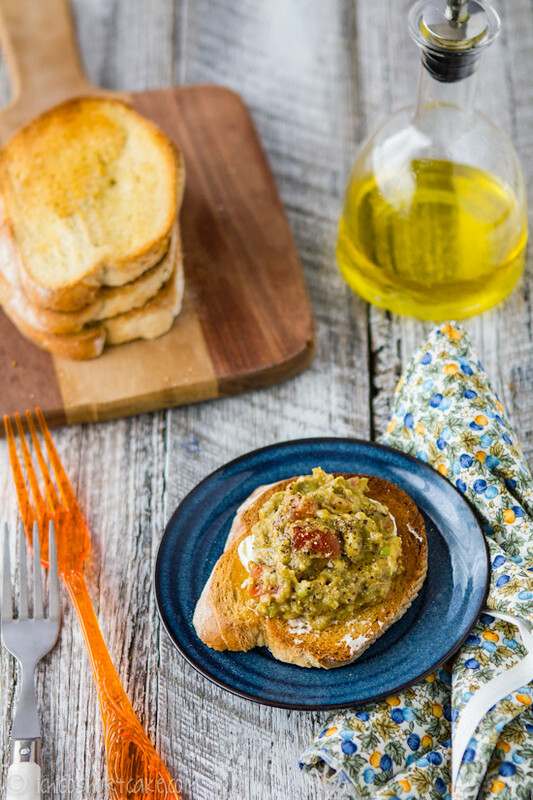 I’m on the avocado craze right now and this bruschetta looks amazing. I’ve always thought bruschetta was the fancier answer to butter and toast.